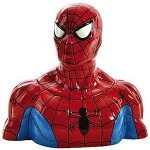 Now there is a Spider-Man cookie jar that looks like the head of this famous superhero. 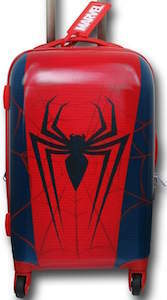 This Marvel cookie jar has all the features you expect from a Spider-Man cookie jar the head is red with a spiderweb on it and then there are those big eyes just staring at you every time you want to get a cookie. Inside the cookie jar you will find plenty of room for your cookies and this jar is ceramic and that of course means that it could last for ever. 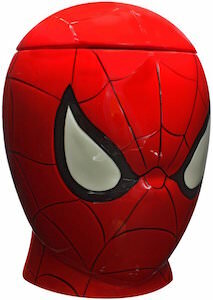 The Spider-Man jar is 9 inch tall and you access it by removing the top of Spider-Man’s head and then put cookies inside instead of brains.